Presenting your home for showing takes a little preparation on your part. There are plenty of details to remember. This Open House Checklist below will help you with the finer details of ensuring your is prepared for showing. Put all personal items and all valuables out of sight, if you have expensive jewelry or large amounts of cash, store in a safety deposit box or at a friends or relatives home. Remove any snow and Ice from the sidewalks and driveway in the winter season. Turn on all lights, especially the outside light, if the showings will take place in the dark. Open the blinds and curtains. We want the home to look as bright as possible. CLEAN, CLEAN, CLEAN. Make your home look like a show home. Make sure your home smells Fresh & Clean. Dump the Trash. Turn on some subtle background music. Avoid loud music or television sounds. Never turn on a dishwasher or laundry appliance. Clean and clear the kitchen counters and sinks. Remove small kitchen appliances and gadgets from counter tops to create an uncluttered look. Clean windows and the area around them. Have the Kids tidy up their rooms. Clean mirrors, watch for streaks! Clean tub, shower grout and molding. Open the shower curtain. This will visually add an extra 2 feet to your bathroom size. Clean and organize the laundry area. Clean, organize and remove the garbage and recycling. Keep the house smelling clean. Make sure that the appropriate doors are unlocked so the showing Realtor® can gain access with the lock box. Make sure feature sheets are out and visible, if you are out of them call 829-9500 and ask for Michelle Hession and we will get you some more. 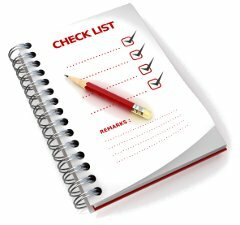 For your free copy of this open house checklist, provide your email below in the download area.